A hunt for Kansas Monster Whitetails has been on my bucket list for several years. This year, assuming I draw the tag, I will turn that dream into a reality. I recently booked a hunt with Cody Kuck, owner of Heartland Pride Outfitters. The Kansas application period is still open, and Heartland Pride Outfitters still has a few openings, including the week a few Western Whitetail members will be there in November. If you are interested in hunting some Kansas Monster Whitetails, then please see Cody’s answers to a few question I posed recently, and feel free to contact him with any questions. DC: The application deadline for Kansas is fast approaching, do you have any openings left for 2015? CK: We do have openings for 2015. We have September and December muzzleloader hunts available, September, October, November and December archery hunts, and December rifle hunts available too. 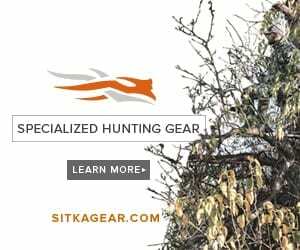 DC: What are the draw odds for the locations you hunt, and what advice do you give your clients when they are applying? CK: Archery permits hold a lot higher chance of success in drawing compared to rifle and muzzleloader permits, just because there’s so many less people putting in for the archery permit, rather than rifle or muzzleloader. There’s really no advice we give, just fill out the application, enter in our units, and wish for the best! Looking at 85%-95% success in drawing your first year, depending on weapon choice. If you’re looking at hunting with us at HPO in the future, buy your $20 preference point this year for a guaranteed draw the following year. DC: Tell me a little about the properties you hunt: field edges, pinch-points, travel corridors, etc. CK: We are hunting numerous miles of creek and river bottom systems next to Ag fields such as corn, soybeans, alfalfa, winter wheat, and milo. We are concentrating on hunting their travel routes to and from these fields back to bedding without disturbing them. During the rut we are hunting areas that hold multiple doe, thus pulling in the bucks to that location for breeding. DC: What hunt/month do you think provides the best opportunity at a real Kansas giant whitetail? CK: September and November are the best months in my opinion. September muzzleloader season allows us to kill MONSTER whitetails that just shed their velvet, and are still in their bachelor groups from the summer. They have a beautiful slick summer coat of fur and not an inch busted off of their rack since they haven’t even thought of fighting each other yet. We don’t hunt many hours out of the day that time of the year due to increased heat, but it is very effective in killing a true MONSTER. November is the next best time, due to rut activity and mature bucks being on their feet during daylight hours more than any other time of the year. It’s a great time to be on the river or creek during November with us! DC: What are your expectations for buck harvests this fall? CK: Our expectations are extremely high this year for killing multiple mature animals over the course of September through December. Each year we add property, add stands, add feeders, add cameras, etc., all for great reason, Kansas is where it’s at for hunting MONSTER whitetails with HPO.